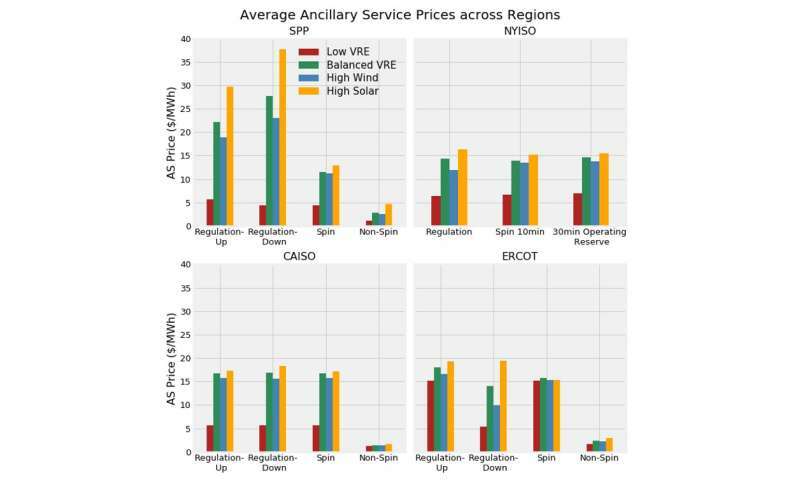 In particular, our study shows how solar and wind tend to lower energy prices, but they add new complexity for operating the grid, which has big implications for regulators. For consumers, this research is a reminder that making the electricity grid cleaner with wind and solar is an evolving process that requires significant changes to how the power grid is currently run—but one that offers large opportunities, if we as a country can become more flexible when we use electricity. Another question is how to deploy electric vehicle chargers: With lots of solar generation, it may be best to put chargers at stores or office buildings, to charge when solar power output is high at midday. But in a region with strong winds at night and many wind turbines, power may be cheapest and cleanest when electric vehicles are parked at the owner's residence. For context, the Californian market had 14 percent solar and 7 percent wind energy in 2016 (state laws will require an increase to about 40 percent wind and solar in 2030). While Texas is the nation's leader when it comes to the overall capacity of wind turbines generating 13 percent of all Texan energy, the regions in the Midwestern wind belt have the largest share of wind electricity – nearly 20 percent in 2016, but next to no solar. New York, meanwhile, has ambitious targets for 2030, but so far only very little wind (3 percent) and solar (1 percent). Since solar and wind have no fuel costs, they can bid low to make sure their power is accepted in the market. 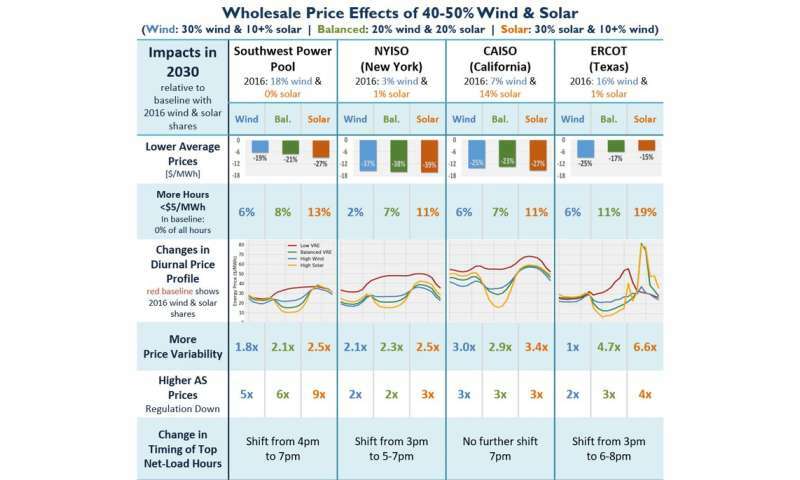 The more wind and solar in a market, the more often the clearing price falls. In today's markets, we already see sometimes prices go to zero or even negative. 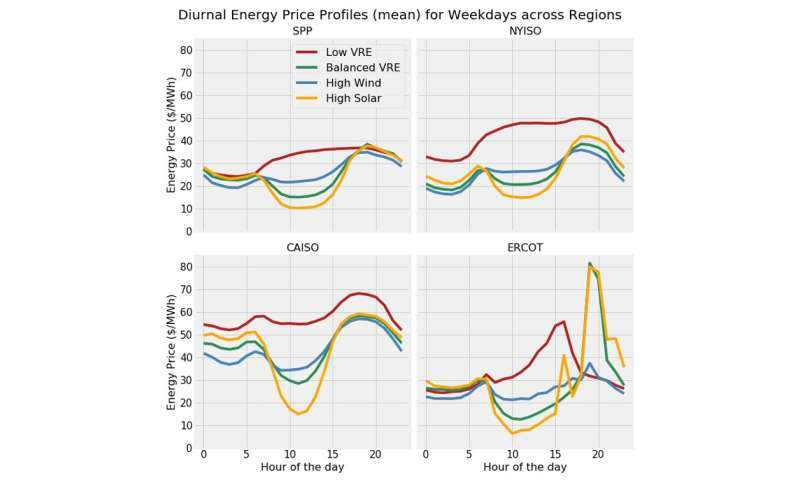 Lastly, we found that peak hours are shifted from midday to the evening, after solar output declines. These new "net peaks" are shorter in duration yet are distributed over more days of the year. While peaks are typically met by ramping up conventional power plants, the shorter duration of net peaks creates opportunities for targeted energy efficiency, reducing the demand for electricity (demand response), changes in retail rates to reflect new peak times, or even batteries. "As more solar and wind come onto the grid, prices go down..."
So why the electricity prices are skyrocketing everywhere, e.g. Germany, Denmark, South Australia, California, Denmark, Minnesota, etc., except in places with abundant cheap coal or gas that need to be "greenwashed" by intermittent renewables, e.g. Iowa, Kansas, Oklahoma, etc. "Since solar and wind have no fuel costs"
What about fuel costs of coal/gas-fired backup plants that keep lights on when wind isn't blowing or sun isn't shining? "sometimes prices go to zero or even negative"
It means that energy is produced when it isn't needed, but when the energy is most needed, it's coal/oil/gas that prevent people from freezing in the dark. Ahh Willie, your the guy who remembers five years ago. When the bus you were waiting to board, arrived five minutes late and you blamed the bus driver for the heavy traffic impeding his route. Today, you make a habit of arriving at the bus stop five minutes late. And then blaming the bus service for being on time and leaving without you. Sorry to hear that reality is such a bummer for you. Better luck in your next incarnation. Is the bus powered by "cheap" sunshine&breeze unicorn energy? "Solar panels often contain lead, cadmium, and other toxic chemicals that cannot be removed without breaking apart the entire panel. 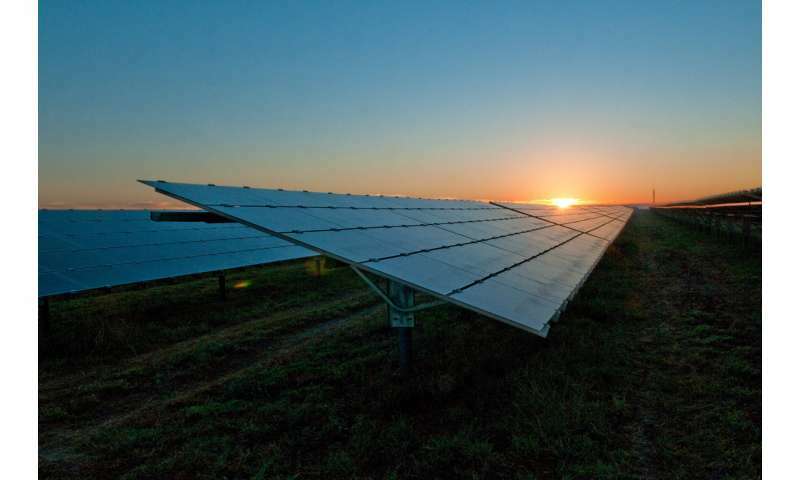 For this reason, the whole solar panel is considered hazardous by many experts and governments, including the state of California, which is trying to prevent the flow of old solar panels to landfills." The delusionals have always been wrong, and are still wrong now. This means you, Willie. I live in shale gas country - gas so cheap that you can hardly give it away. I just signed up for two years contract for wind generated electricity. The rate was cheaper. The company I retired from last year was in the business of building gas fired generation. Cheap gas everywhere, but no one building plants.....and no one is "freezing in the dark".... after a career spent in the power generation business, I can tell you that you just don't know that much about it. Your lack of knowledge doesn't seem to get in the way of you running your mouth though..... typical of delusional people. Aka. energy rationing, the modern implementation of rolling blackouts. If you can't meet demand, re-branding it as demand response is simply normalization of deviance. That's when a hack to overcome a fundamental issue in your design, or even ignoring the problem alltogether, becomes seen as "business as usual" because it has worked so far, until the seventh wave comes and your ship sinks. The delusionals ... I live in shale gas country - gas so cheap that you can hardly give it away ...wind generated electricity... Cheap gas everywhere, but no one building plants.....and no one is "freezing in the dark".... ... typical of delusional people. Where do you live? in the Lala Land? I just signed up for two years contract for wind generated electricity. The rate was cheaper. That's because they have to dump the energy somewhere to keep generating federal subsidies. Utilities in Texas are already giving away wind power for free to customers during the night time peak output, because if it isn't generated then the state doesn't recieve the money and they have to pay the owners of the wind turbines compensation for curtailment. Investments in the solutions to intermittency will come readily enough when the proportions of intermittent solar and wind approach levels when they are needed. Before then they will be resisted - as all strong emissions policies are resisted - with alarmist fears of unreliability and cost as the primary justifications. I think letting intermittency become the de-facto carbon pricing mechanism (that governments have been too divided and cowardly to commit to) should be welcomed - periods of low cost wind and solar forcing existing FF plant into intermittency in response, ready or not - because if we limit the W&S until FF owners are ready it won't happen. Ever. The value of energy outside those periods of W&S abundance will be elevated - and that will make Interconnectors and "On Demand" backup worth investing in. The market will sort out whether gas (with it's risk of ever rising emissions standards) will be chosen over batteries and hydro. (Or other players).